This is one of the more creative comeback albums I've seen, albeit it's not really a comeback as INXS already came back from the death of Michael Hutchence with replacement singer J.D. Fortuna on 2005's Switch, but to relegate him to two tracks & do an album that brings in a different singer for new arrangements of many of the band's hits is a quasi-comeback ... take two. Though, it's actually more akin to a tribute album, plus as the band has openly confessed this is how they perceive the album. But, a self-tribute? Normally that would be the most egotistical thing you can do ... normally ... but, in this case it's just sad that this is the state of their career. On one hand I'm glad to see the band still making music sans Hutchence & pushing boundaries, this release being musically farther than they've ever gone, but on the other hand if their newest material is but re-hashed hits, not even with their new singer, that's not a good sign ... & considering the new arrangements pale compare to the originals ... well, we all knew that INXS was essentially over when Hutchence died, though their career had already begun to decline follwing X. I know they got the memo, too, but obviously chose not to read it & thus while the previous Switch had a little hope in it, even if new face J.D. Fortune does sound too much like Hutchence but without the charisma, this just ends up being sad. The problem essentially is that it sounds like a typical tribute album, which means this sounds like 14 different bands. So much of the INXS sound was in the voice of Hutchence as the band went through numerous musical periods without really cementing any one recognizable style. Further, none of the members are really known on their own. 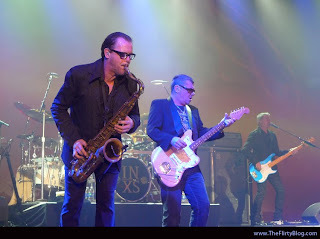 I don't know how much the guest musicians were allowed to contribute to the arrangements but more than a few songs have taken on a heavy electronica sound, which INXS always had but it was under a rock sheen, ranging from dance floor electronica (i.e. "Original Sin" with Rob Thomas) to almost experimental (i.e. "Mystify" done in French by Loane & "Don't Change" with no guest). After opening with an odd electronic instrumental ("Drum Opera"), the one new song, it goes to the hit "Mediate" with Tricky turning it into a quasi-hip-hop. But, hip-hop has a gritty edge & so did the original with Hutchence's dead-pan delivery, but this is a strong dance mix a la Black Eyed Peas that just drags once you hit the guitar solo. But, for a moment you imagine the rest of the album is going to be like this, as it's definetly musically interesting & you predict what's coming next, but by the next track you realize you're in for a challenging listen & then the album just slowly falls apart ... without ever breaking a sweat or even really rocking out until a bonus track with Fortune ("Love Is (What I Say)"). There are two highlights on the album: "Never Tear Us Apart" with Ben Harper & Mylene Farmer singing in French & an acoustic version of "Beautiful Girl" with Pat Monahan of Train that's one of the most haunting ballads INX has ever done. These two tracks I'd recommend downloading on their own, which I tend not to do as I believe in supporting an entire album. The band pulls out the acoustic guitars again for "New Sensations" with Deborah de Corral but it comes off as something from a Mary Chapin Carpenter album, which is not what you want to hear when listening to INXS ... maybe if it sounded like the Indigo Girls that would be better. A third acoustic song ("Don't Change") makes you realize INXS is not an acoustic band & the Monahan success is just luck. After this odd collection I now understand why fans have requested the band change it's name or become INXS v2. This is almost as bad as when the Doors followed Jim Morrison's death with two albums as a trio, albeit their reunion was stellar. What's worse is that the songs are almost unrecognizable at times, even vocally, & I've heard most of the INXS collection. 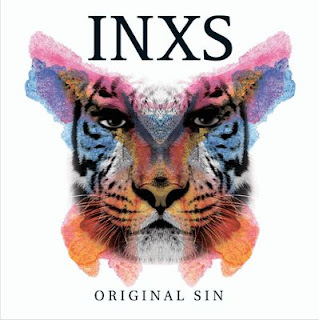 It's hard to say if this is a successful experiment at reinterpretation or just a band sadly past its prime ... particularly since half way through the album I found it lacking in energy & for someone who used to listen to INXS for hours was bored & waiting for the end. Though, I will say the singing was all great, but the arrangements just don't offer a lot to work with. "The Stairs" with J.D. Fortune sounds the closest to anything from the past as its given a minimal workout, but it only makes you wish for the past more. The one good thing about this album is the eclectic mix of guests, including many known in Australia but not America. After recent star heavy albums by Santana & Slash it's nice having names I don't recognize for a change. & I'm sure DJ's will find some interesting tracks to pull a beat or phrase from. Well, I'm glad you at least included JD Fortune as a member if INXS which has been confirmed recently in interviews in Canada. Besides JD's great rendition of The Stairs, there is also a bonus track on iTunes Canada called Love Is which is a fabulous tune. Interviews also revealed that JD and the other members of INXS are already working on new music for an album to follow Original Sin. 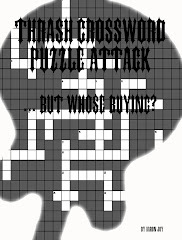 I thought Switch was a darned good album and can't wait to see what the band can come up with next. Thanks for the additional thoughts. I'll confess to only have heard a few tracks from Switch but liked it. I hate giving a sour review to a band I once loved, but I've gained a reputation for honesty and honestly I don't like the album. I think they can do better and hopefully they will and this will just be dip in their career. But, as I wrote, I'm happy they are trying as I prefer a bad moment to instead giving up. And, yes, J.D. (yes, I saw the news recently) is the highlight of the album with his two tracks. Though, I'm still on the fence about him. He's like Ian Astbury in Riders On The Storm - so similiar to his predecessor that it's what we want to hear, but at the same time the imitation makes us want something else ... that being the old days as the something else in this case, different singers and styles, just doesn't work.